ANTIQUE READING TABLE - "CARTER'S LITERARY MACHINE"
Antique Victorian Reading Table. 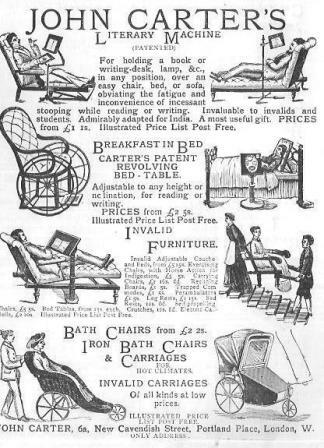 Patent "Carters Literary Machine". (Labels attached). Walnut, brass and cast iron. Fully adjustable. See original Catalogue Photo below. Very good original condition and fully operational. FEATURES - 7011 Antique Victorian Reading and Music Stand. 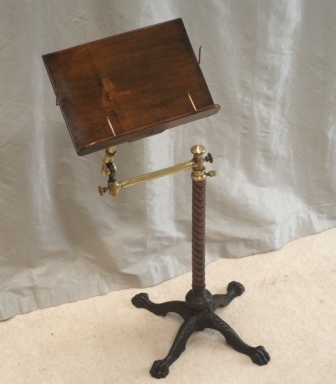 "Carters Literary Machine"
DIMENSIONS - 7011 Antique Victorian Reading and Music Stand. "Carters Literary Machine"